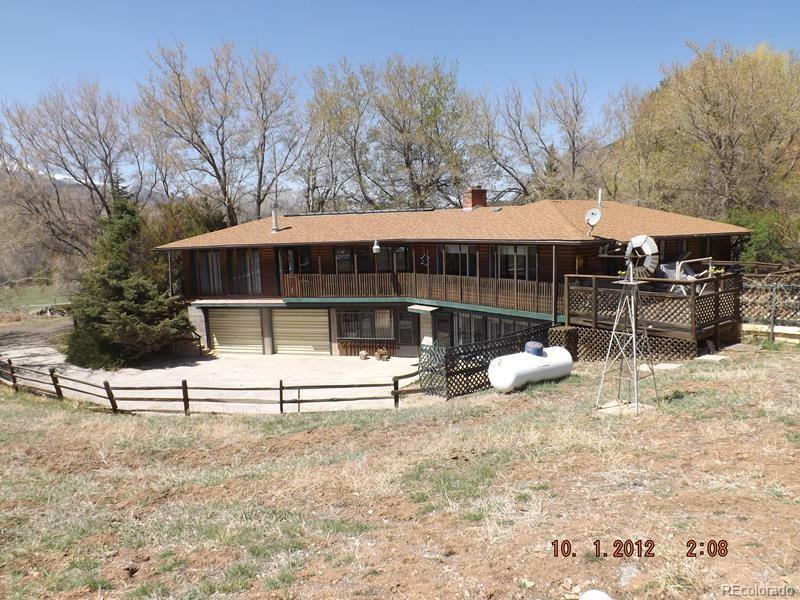 Peaceful living at the foot of the Rocky Mountains with a 2.6 acre lot. This mountain valley setting offers a great opportunity for year around living or a retreat from the busy city living. You will not be disappointed with the mountain background views from this location and you even have your own frontage on a clear mountain creek flowing year around at the back of the pasture. There are leased irrigation water rights to keep the pasture lush along with some seepy spring formations in wetter years. The home is a raised ranch style with a walk out basement. There are two bedrooms and a bath and kitchen on each level. The wildlife is abundant in this area and the Arkansas River offers great fishing only 3 miles away. Come and see for yourself and take advantage of this affordable property. Offered by The Hancock Group Inc..